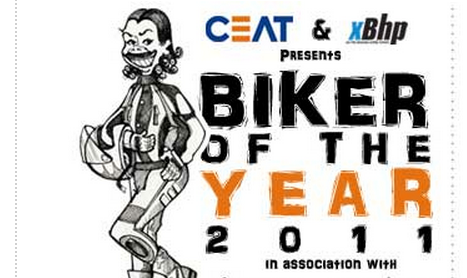 India’s largest biking community, xBhp had launched a hunt for ‘Biker of the Year’ last year. Today we bring you the case study on how xBhp’s Biker of the Year was promoted via social media by digital media agency, Iffort. What is ‘Biker of the Year’? Login screen: As shown in the screen below, a user can login using his Facebook account or create a new profile assuming he is not present on Facebook. 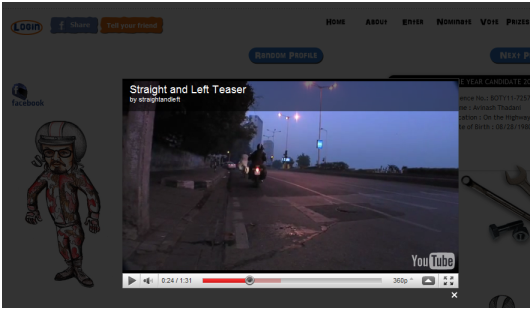 Media integration: The portal also enabled bikers to bring in their Youtube videos and Flickr images. All they had to do was give the URL of their Youtube profile and Flickr gallery, and their entire video/image collection is embedded here as a thumbnail strip. Profile sharing: Once a biker’s profile is approved by the administration team, he can login to his dashboard and use the social media profile sharing options to share his profile on Facebook. Another simple feature is that apart from doing the normal share on his FB profile, he can also share it on the xBhp fan-page. 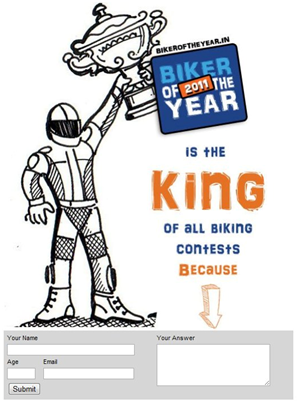 BOTY is the king: The Facebook contest was designed to increase user’s awareness about the game. 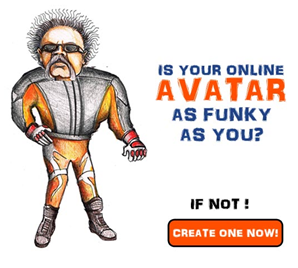 Create your avatar: The ‘Create your avatar’ app enables a biker to shorten his road to the application submission. By using this app, you can directly move to step 3 of the application process, thereby over-riding the Step 1 & Step 2 which include creating username & mail verification. 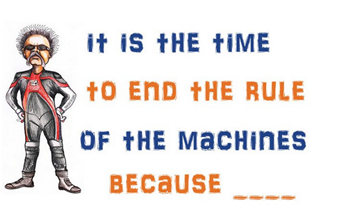 Fun games on the wall: Complete the line “It is time to end the rule of the machines because __”. 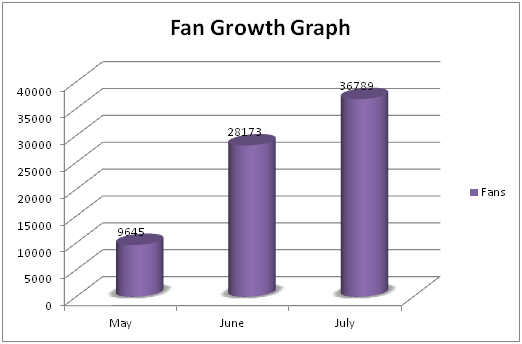 Results: There was a growth of around 25K fans on Facebook by the end of Bikeroftheyear campaign and around 2K fans engaged with xBhp in this period of time. Spread the buzz around the launch of “Biker of the Year Competition”. Increase the follower base on xBhp in general. Use ‘Twitter’ as an engagement tool to interact with motorcycle enthusiasts across India. Contest 1: Fans were asked to follow @xBhp and retweet the same tweet. Contest 2: Fans were asked to give a reason why @xBhp should follow them. @xBhp wasn’t following any account at the start of this campaign; this contest not only brought out the creativity of bikers but also mapped out the popularity of xBhp among the biker community. Contest 3: Fans were asked to vote for their favorite biker out of top 20 bikers of ‘bikeroftheyear’. The main aim of the contest was to drive traffic to bikeroftheyear.in website and to encourage people for voting top 20 bikers selected by the jury. 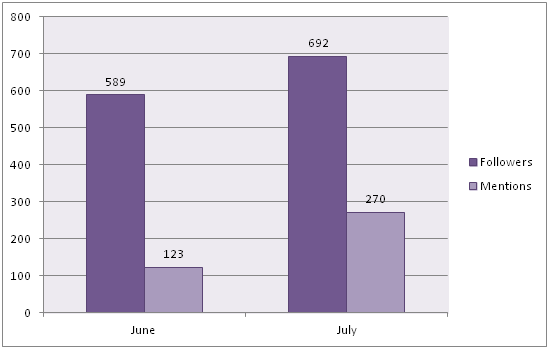 Results: There was a growth of about 100 Twitter followers and around 150 twitter users participated by the end of the “Biker of The Year” campaign, in a time span of 1 month. Don’t forget to share your views on the xBhp ‘Biker of the year’ campaign with us.